I recently sat down with Jiu-Jitsu black belt, Chris Ulbricht. Chris is the owner of Garden State Jiu-Jitsu Academy in Red Bank, New Jersey. 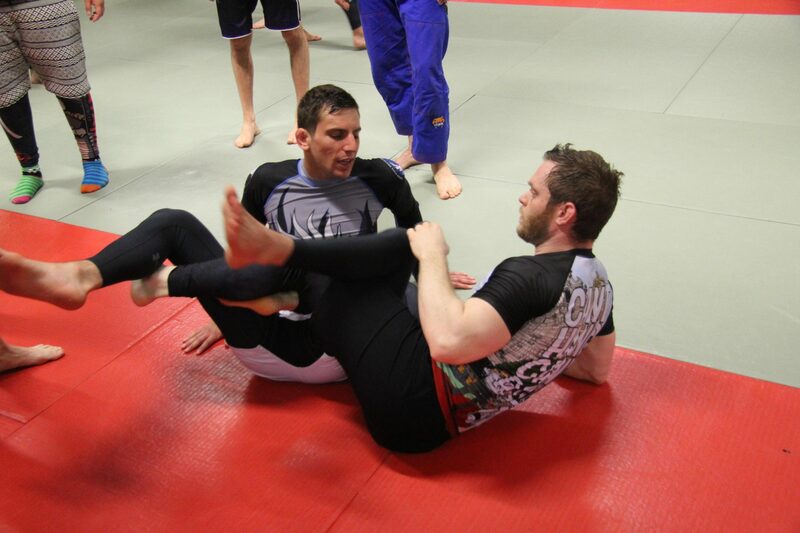 Chris is a full time instructor, an active competitor, and has owned Garden State BJJ for 5 years. Q. What is BJJ Globetrotters? A: BJJ Globetrotters is an organization started in Denmark by Christian Graugart. He hosts camps all over the world. He started it with a small group of Jiu-Jitsu friends and it just grew from there. 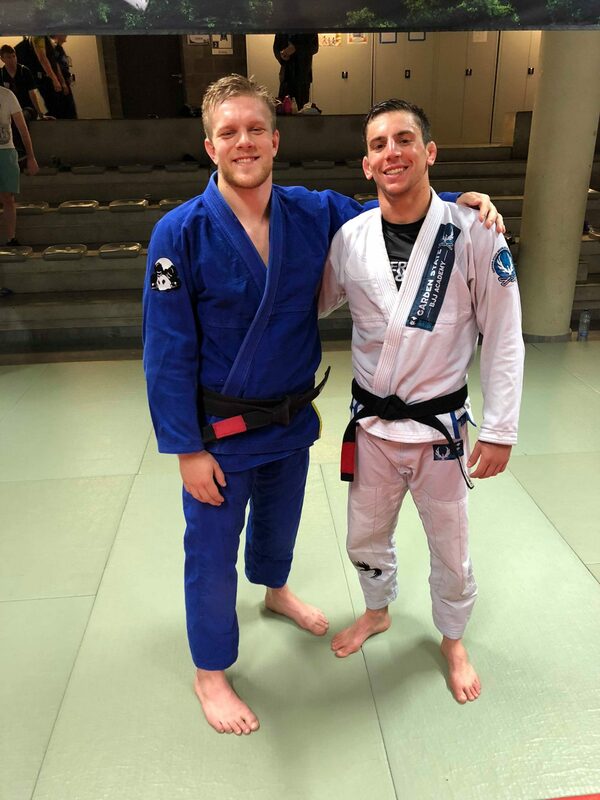 He plans his vacations around where he is passionate about going and where he thinks would be the most fun; then brings his instructor friends and invites the whole BJJ community to join. It seems that he pretty much does about a camp a month. He has done a camp in a castle in Europe, multiple Caribbean island camps, snowboarding camps in Austria, and many more – so the variety is quite diverse. Q. How did you get started with them? A: I got started through my sponsor, Inverted Gear, which is owned by my friends Nelson and Hilary Puentes. They were instructors in the past, and they connected me with Christian. I did the US camp in Maine with both of them and got invited back. Q. 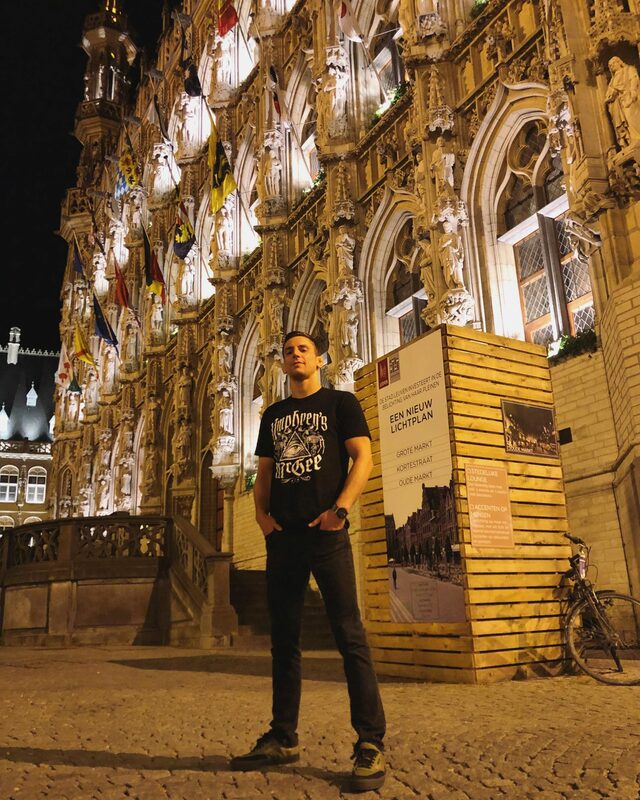 Where was your most recent BJJ Globetrotters trip? A: I did their “Summer Camp” which was held in Leuven, Belgium. 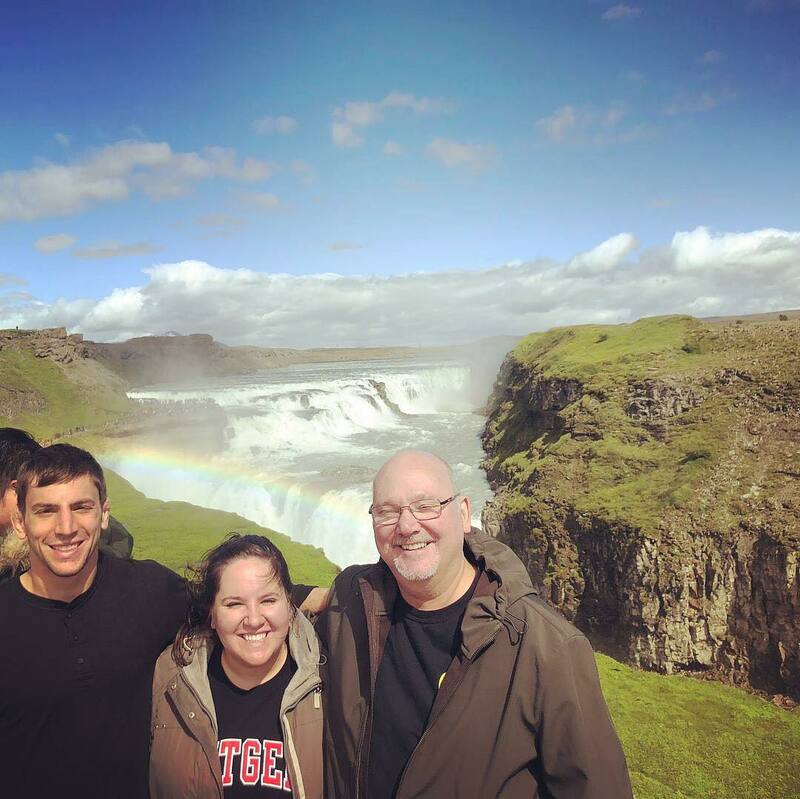 After camp, I spent a few days in Iceland with my family. Q. Where is your next stop with them? A. I will be teaching at the “Winter Camp” in Austria in January. I’m looking to book some seminars for before and after because almost everywhere in Europe is just a train ride away, and I’d like to explore a bit if I’m already making the trip over. 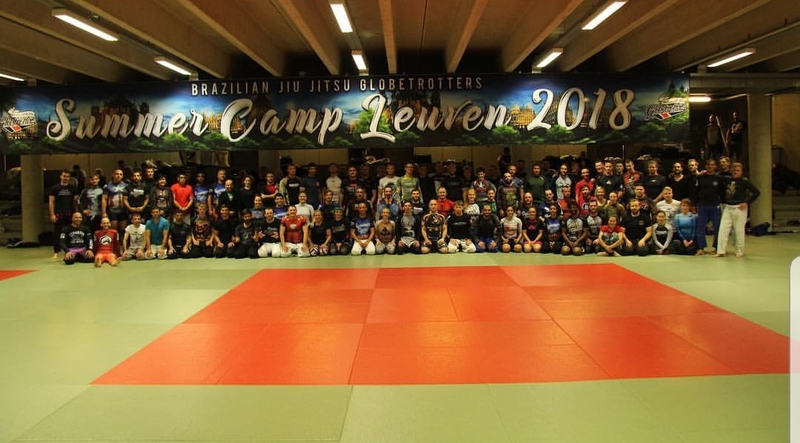 I also hope to do the “Summer Camp” in Belgium again next year and possibly the Iceland camp as well. I am always reaching out to Christian to see what he needs in terms of instructors because I have so much fun at the camps and am able to learn so much. I want to do as many camps as possible. Q. What was your favorite part of BJJ Globetrotters? A. Through traveling, I was able to get different perspectives from conversations with people and exchange techniques. I felt refreshed and inspired. Aside from even just the change of scenery, meeting hundreds of different people and having conversations about with them about various topics is incredibly valuable. That has been my favorite part. Training with people who have never trained with any of the same people you have ever trained with and learning their approaches is also incredibly interesting. There was a good amount of time where I where I was able to brainstorm with my new friends after rolls and learn some of their favorite techniques as well as share some of my own with them. I feel that I both teach and learn best in these informal knowledge exchanging sessions. Q. Who were some of the people who left an impression on you? A. I learned a lot from Christian. He recently added a section of not just technique classes but conference room classes. He did a class on creating ideas and making things happen. I was able to implement a lot of his strategies to help and come up with new ideas and make them happen. That was a huge takeaway for me. Another instructor named Jorgen Matsi from Estonia did a great class on coaching strategies that really helped me a lot. 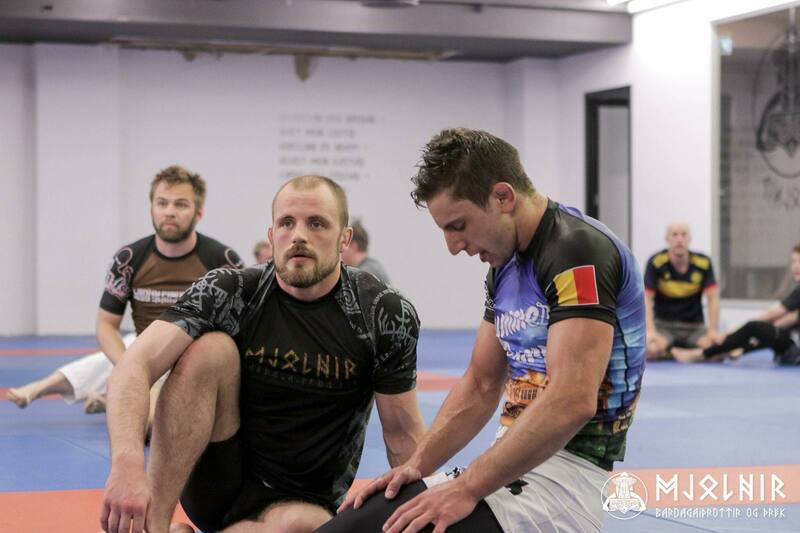 During open mat, one of the guys from Iceland, Petur, taught me some great details for the truck position. Also, my German friend Thommas showed me some excellent counters for when someone smashes your inside sankaku position. Mario Hudlist, from Austria, taught a cool calf crusher sequence that I really liked and have been working on. Q. What did you teach when you were there? A. I taught my “Jedi Mind Trick” system. It’s mainly a counter for when your opponent attempts to use a backstep to pass your halfguard (among many other situations). I taught a few variations based on the opponent’s reaction. This is also what I taught in my workshop at Mjolnir MMA in Iceland. Q. What was your favorite thing you did outside the mats? A. I really enjoyed the bar crawl and just exploring the city. We all had bikes so we were all riding around the city and running into each other. We had 275 people, so it was like the camp took over the whole town. Q. Are the people that participate in the camps the same or different from camp to camp? A. Some people do go from one camp to the next. A good amount of people have situations where they don’t have to be at any one particular place for work, so they kind of just do multiple camps throughout the year. Q. Tell me about Iceland? A: Iceland came together after I knew I was teaching in Belgium. My family planned a trip there for my father’s 60th birthday, and it worked out for me to meet them there after Belgium. 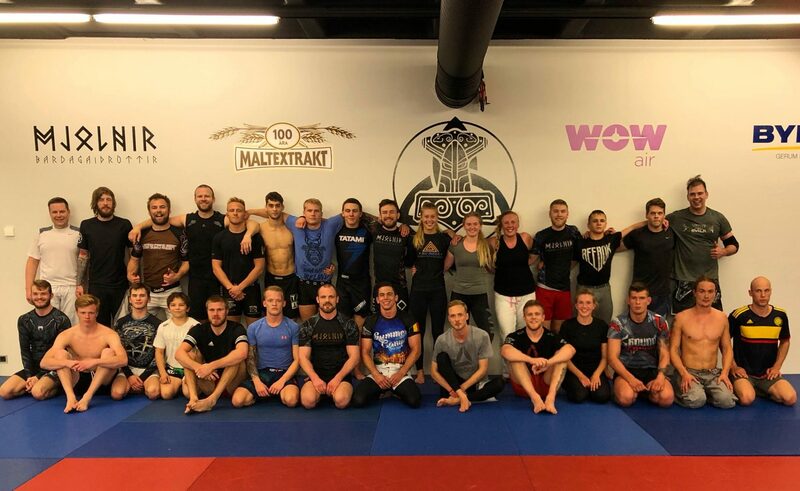 While in Belgium, I happened to meet a bunch of the team from Mjolnir MMA, the school I had planned to visit in Iceland the following week. Halldor, one of the black belts and a fellow Inverted Gear sponsored athlete, enjoyed my class at Globetrotters and helped me connect with Mjolnir MMA to set up training and workshop when I got there. 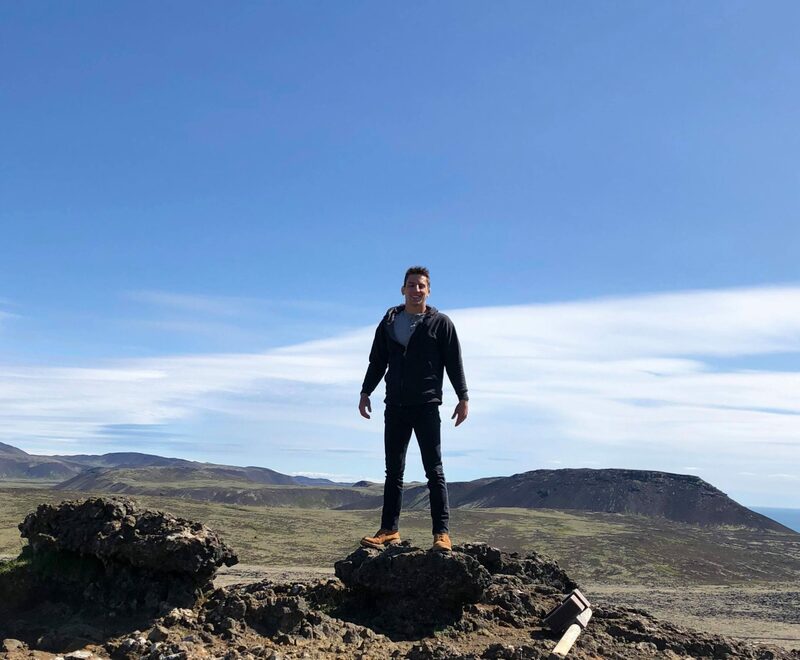 I had a blast exploring Iceland as well as training with the incredibly welcoming and tough crew at Mjolnir – I definitely recommend stopping there for anyone looking for an awesome Jiu-Jitsu trip. Q. What did Gunnar teach you? A. Gunnar taught me some really cool passing strategies. He showed me his “Glacier Pass”, which I believe he taught at the Iceland camp they did the week after I was there. You can actually watch him teach it on the Globetrotters in Action page. I was really impressed and inspired by how their whole academy is run. He came across as a true leader, who is well liked and respected by his students. Q. Let’s end it here- What would you say is the biggest difference you saw from Jiu-Jitsu here to Jiu-Jitsu in Europe? A. I am not sure if it’s specifically an “in the states” and “out of the states” thing, but at BJJ Globetrotters I met a lot of people who just enjoy Jiu-Jitsu in the moment instead of as a means to an end – they do it because they really love it. This is cool because when you do something for the love of it, you are living life and experiencing Jiu-Jitsu “in the moment” rather then for some type of future personal gain. The experience within the BJJ Globetrotters community inspired me to be as present as I can be in my daily life as well. 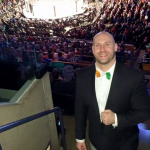 If you want to find out more about Christian and BJJ Globetrotters, visit his website https://www.bjjglobetrotters.com/ and see where in the world they are heading to next. If you are ever in Central Jersey, stop by Chris’ school, Garden State Brazilian Jiu-Jitsu Academy. Garden State BJJ is located at 336 NJ-35, Red Bank, NJ 07701. Chris is a phenomenal teacher and and welcomes everyone to visit! 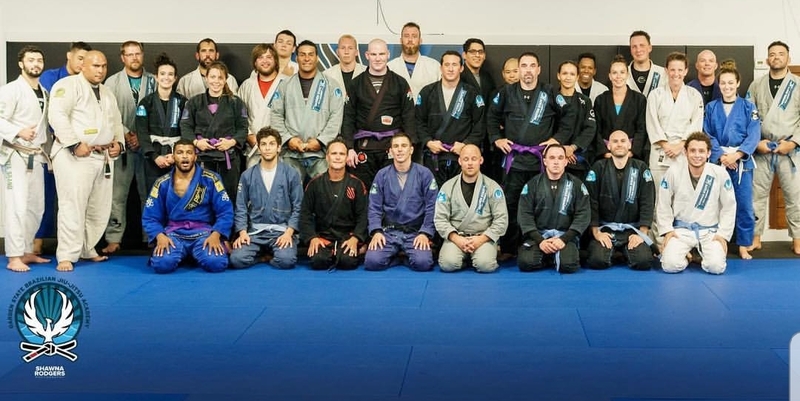 For more on Chris and Garden State Brazilian Jiu-Jitsu Academy, visit www.GardenStateBJJ.com.